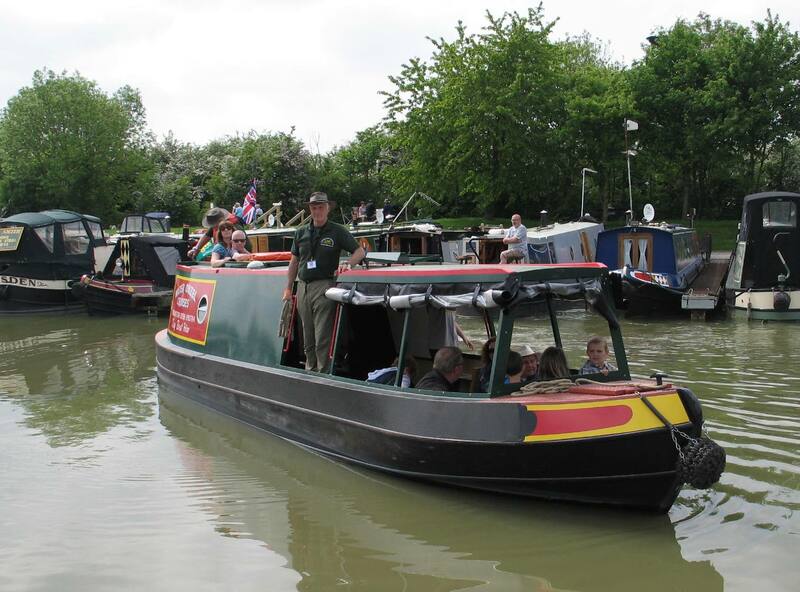 This was due to the Canal and Rivers Trust (CRT) and the show organisers, Waterways World, wanting to do a press and media event prior to the Show to promote the fact that all children aged 16 and under can visit the show for free this year and all visitors can enjoy a free boat trip. Primary school pupils from Kilsby School, Northants were to have a trip aboard Water Ouzel, UCC’s day boat and also meet an actor impersonating James Brindley, whose 300th Birthday Anniversary was being celebrated at the show and whom was to do talks and demonstrations to the children regarding the early development of the canals. This was all to take place by The Moorings Restaurant at Crick on the Wednesday morning before the Show. 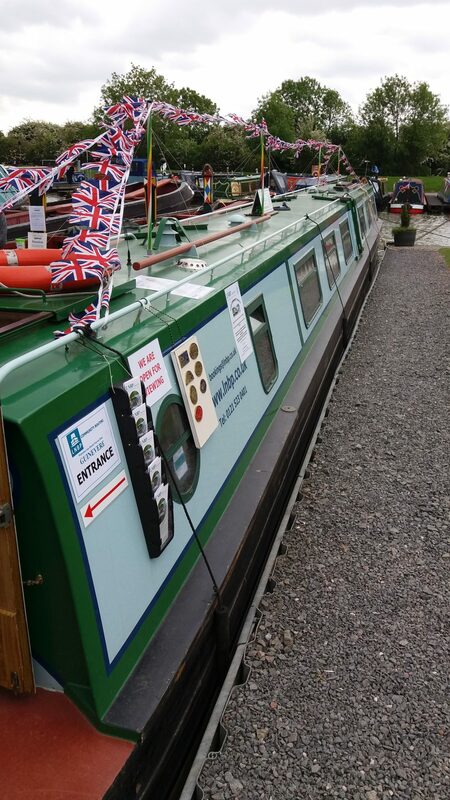 We were asked by Heather of UCC if we could get the day boat up there by the Tuesday and run the school trips, and we readily agreed, Heather having been approached by CRT as the hirers of the boat. 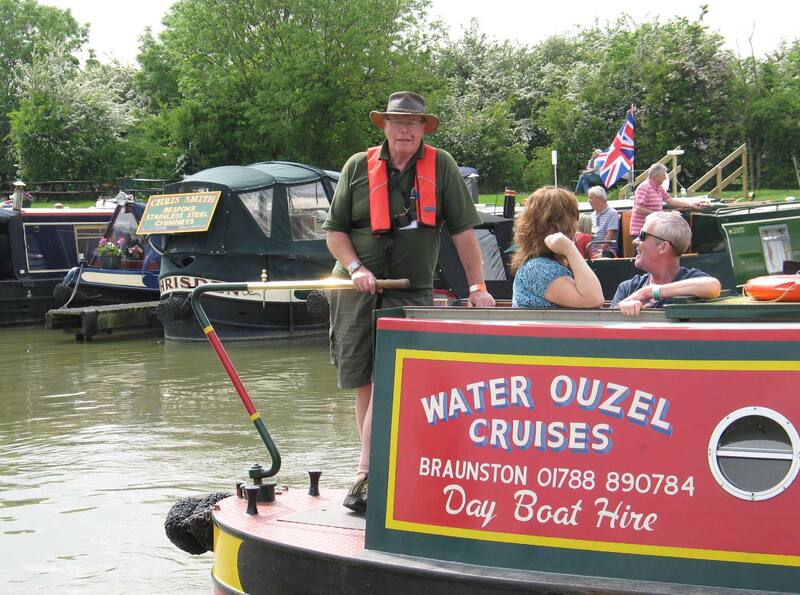 Consequently two of our team, Dave and Brian went up to Braunston on the Sunday to prepare and load Guinevere for the Show as it was decided that we would take her up with Water Ouzel on the Tuesday morning with the assistance of John Moore and Mike Horsley. We had moorings reserved for us outside The Moorings Restaurant and the school trip exercise went well on the Wednesday morning with Brian and John the skippers. Our input was appreciated by all. The children really enjoyed the trips. We moved on to our Crick marina mooring on the Thursday morning to start the set up. 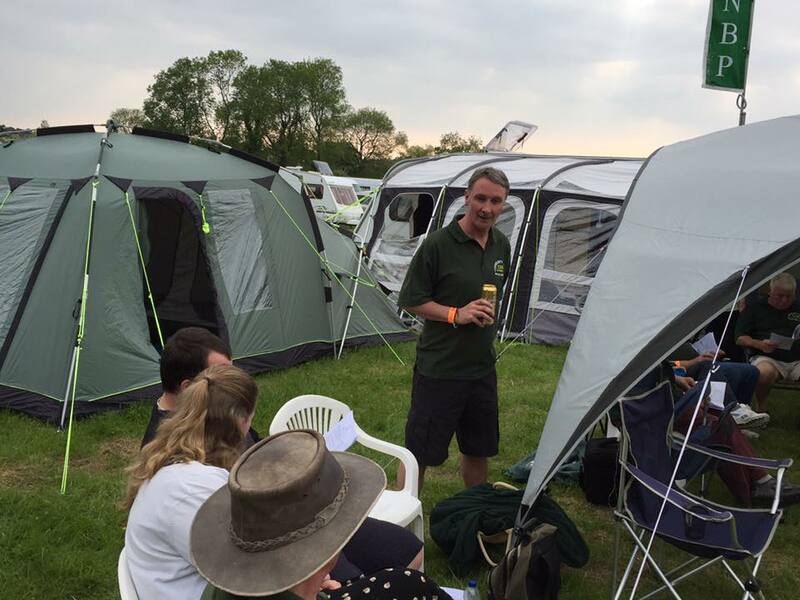 On the Friday the rest of the team began to arrive with our campsite area reserved and made ready by Derek. 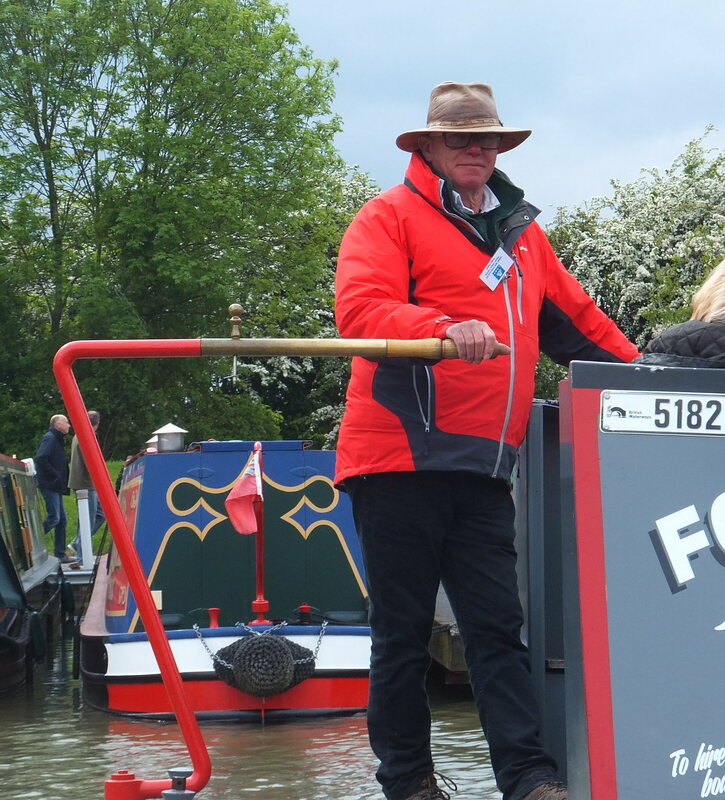 The Face Painting team were also setting up in our marquee and the two Foxton day boats arrived under delivery by our skippers. So we were all ready for action on Saturday. Unusually for the Crick Show there then followed three rain-free days. 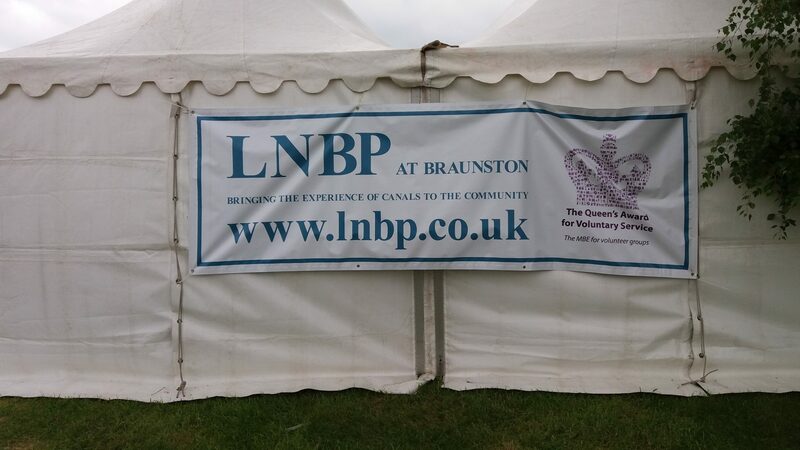 I am told by the organisers that attendance figures were up and this was reflected by the trip boat bookings which were fully booked out not long after midday each day, much due to Julie our vocal booking officer. In all we made 82 trips with 815 passengers and an additional 23 dogs over the 3 days. The occasional boats went out with 9 passengers instead of 10, but in all only 5 tickets were unused. Rounded up utilisation figures were 100% (99.39% actual). Our skippers and quayside team worked hard throughout the weekend to achieve these results. 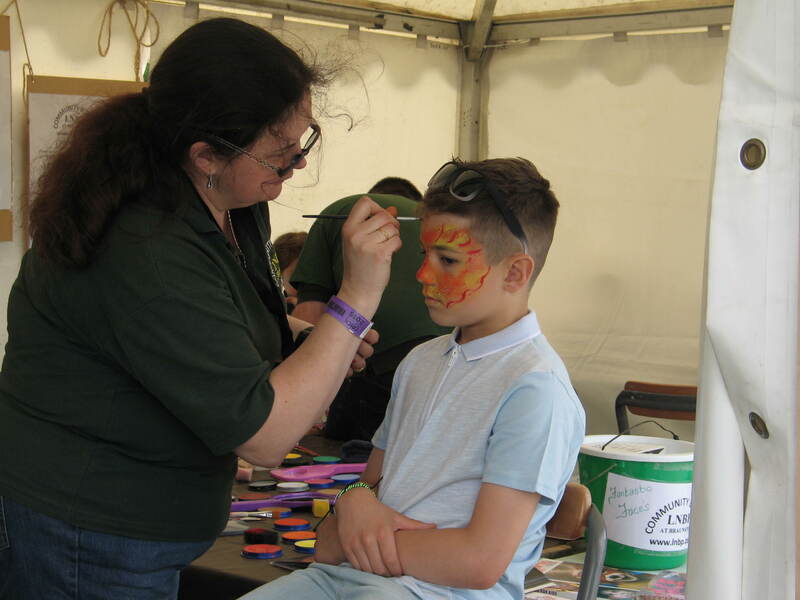 In the meantime Karen and Nick’s face painting team were getting a steady turnover in our adjacent marquee and the crew on Guinevere had a fairly constant stream of visitors, many being redirected to us by the trip boat crews and face painters. 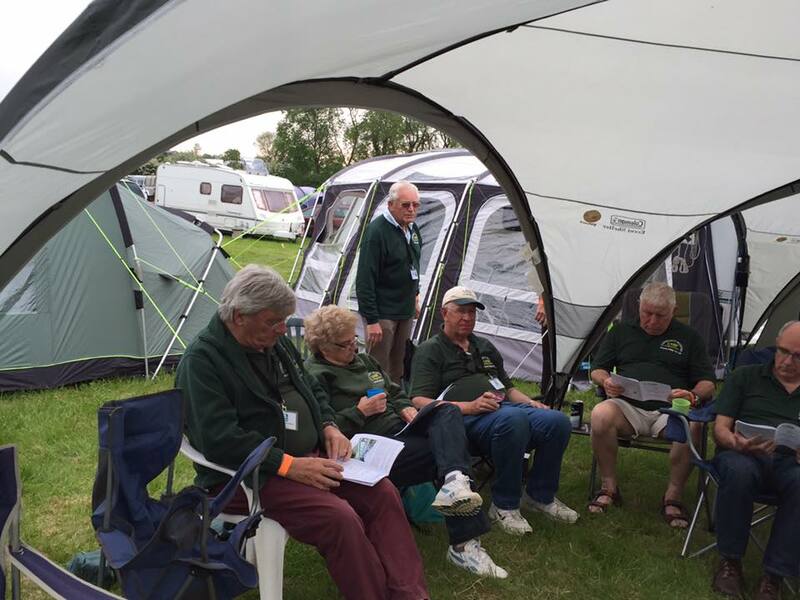 We had some constructive enquiries from potential hirers and potential volunteers, which have been reviewed and Liz has sent follow-up letters to everyone. Brian has also arranged for the names to be added to our e-Newsletter list and Nigel has been advised of those who made enquires for 2017 bookings. 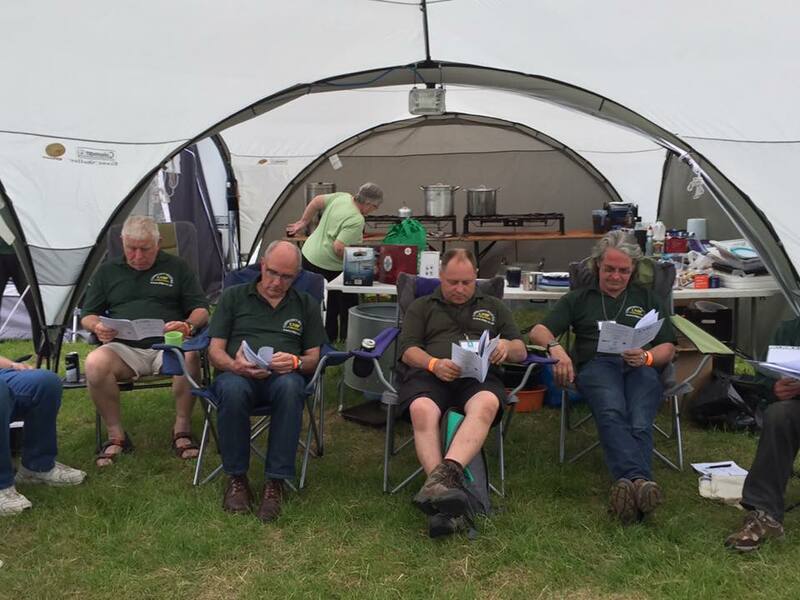 Our daily sandwich run was much appreciated by all, and our thanks are due to the sandwich team working hard every morning on the campsite. Every evening we retired to the campsite for Boz’s excellent BBQ offerings which were surpassed this year by a full Sunday Roast on the Sunday. We are extremely grateful for Boz and his team’s provision of the sustenance to keep us going the next day!! 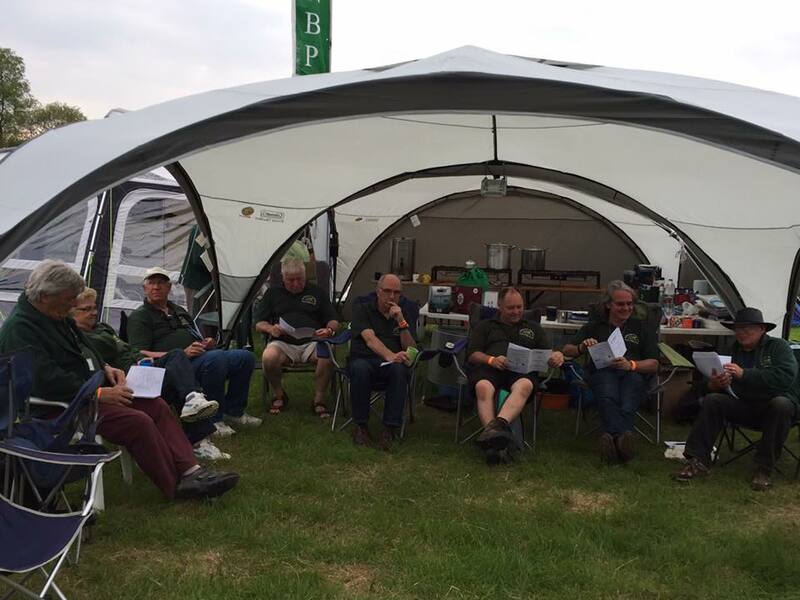 Prior to Saturday’s BBQ we had our AGM which has now become a regular feature at Crick. A fuller report on that will follow. All in all it was a very successful show and the organisers have once again recognised our input and are keen to carry on working with us as their Show Partners. 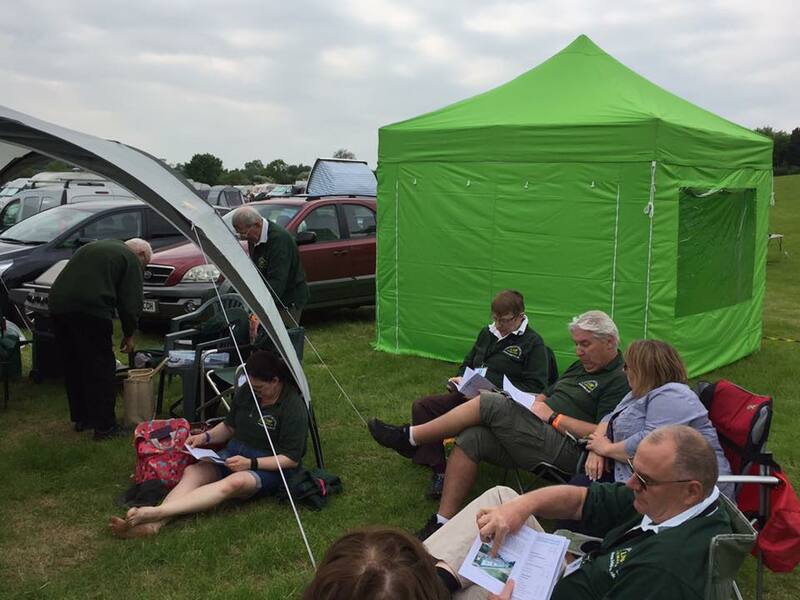 With up to 30 LNBP attired personnel on site each day in the quayside area which included the booking and face painting marquee and adjacent Guinevere, we were quite prominent. We continue to get free editorial and adverts in the Show programme and the publications the organisers issue leading up to the show. Crick remains our major marketing exercise of the year and with every ones support should be continued.